Corticoid with 4 days of action and high glucogenic and anti-inflammatory power. 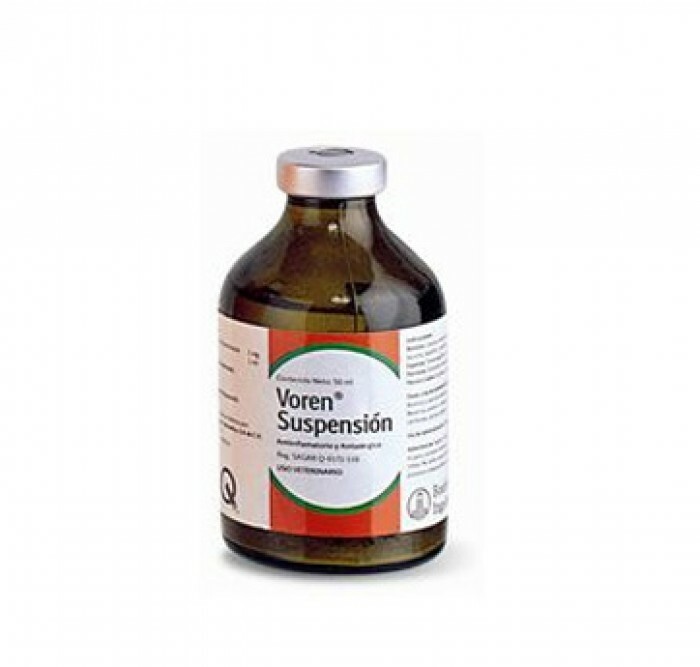 Vorén Suspension is recommended in those clinical processes in which a vigorous and continuous corticosteroid therapy is required, given that its therapeutic effect is maintained for 4 days. - Corticoid with maximum safety and efficacy due to its potent anti-inflammatory activity, excellent tolerance and absence of side effects. - 4 days of activity. Bronchitis, dermatitis, arthritis, inflammatory and / or allergic states. The local and general tolerance of Vorén Suspension is excellent. 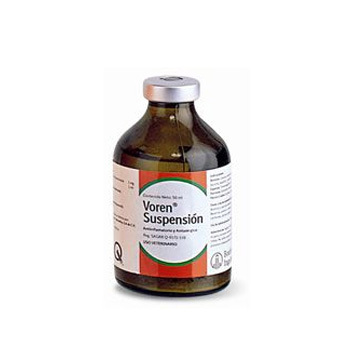 Large animals: 2 to 5 ml per 100 kg. Medium animals: 3 to 5 ml. Small animals: 1 to 2 ml. Induction of labor in cows 20 ml.